Construction is underway on a new hotel/convention center on the Arkansas State University campus, and school officials are hopeful it will serve as a springboard for a new hospitality management program. 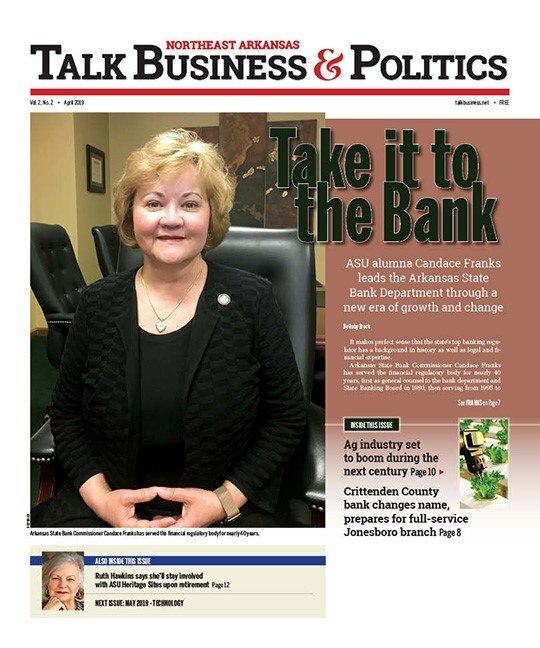 Hospitality management is only offered as an emphasis at this time, but the goal is to develop a full-fledged program once the hotel and convention center are opened in 2019, ASU Provost Dr. Lynita Cooksey told Talk Business & Politics. Classes in hospitality management are already offered through ASU’s College of Marketing and Management. If a degree program is developed, it could support 50 or more students, Cooksey said. A hotel and convention center on campus would provide a “live laboratory” for those students who could intern or work outright in the facilities. Jobs relating to this field include management, accounting, human resources and others. O’Reilly Hospitality Management, based in Springfield, Mo., is building a 203-bed Embassy Suites Hotel, a 40,000-square-foot Red Wolf Convention Center, and a Houlihan’s Restaurant. The project is expected to cost about $60 million. Records from the Jonesboro Regional Chamber of Commerce and the Arkansas Economic Development Commission show that O’Reilly previously said at least 430 jobs would be created directly or indirectly as part of the convention center project with a $44.418 million impact on the local economy. Of the estimated 430 jobs, 300 would be at the convention center with the rest coming from other sources. A ceremonial groundbreaking was held Thursday (May 17) on the campus. OHM CEO Tim O’Reilly told the crowd of about 75, his company planned to actively recruit students in the ASU hospitality program. His company owns or operates at least 25 hotels and facilities similar to the one being built on the ASU campus. The company has hotels in eight different states, stretching from Arizona to Florida, he said. Part of the allure of doing this project in Jonesboro was the college campus, he said. Besides the hospitality management program, there will be other benefits to the university and students. There will be hundreds of part-time and full-time jobs created by the project, and many ASU students will find employment with the company, Cooksey said. Recruiting students will be easier once they and their families can stay overnight, on campus, she said. ASU will be able to host professional conferences, and it will allow greater campus exposure, she said. This could lead to professional, collaborative projects between ASU and other institutions of higher learning, she said. The Hilton Cooperate offices were pleased the project in Jonesboro is now underway.